Office 2013 is the latest version of Office suite from Microsoft. It packs up with a lot of handsome tools and features. The new Metro interface, type and touch, online storage, latest gadgets, online audio/video insertion, PDF editing, and full-screen view are some of the features which are included with this version. All the included applications have those required aspects to make the daily assignments simple and fast. We've summarized the top eight features of this latest application suite, which are mentioned below. We think you will get the benefit of these features. 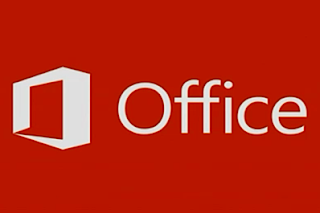 If you're using Office 2013,please feel free to share your views with us and our readers. The new Office application is designed to enhance the touch interface. Like other touch screen devices, it reacts to touch instantly without any delay. You can zoom out or zoom in the documents, images and presentation on the screen. For the Office 2013 support, you are free to call any third-party tech support providers. On working with Office 2013 documents, the files are automatically saved in the cloud-based storage tool called SkyDrive. As your content is saved online, you have plenty of options to access your documents. You can easily access them via any portable devices such as a tablet, PC or Smartphone. You can also access your documents offline. To sync your devices, you need to reconnect them. Feel free to call the third-party tech support providers for Office 2013 help. Users will enjoy a clean and attractive display with tiles, which are added to bring more beauty to its interface. Unlike other traditional applications, you can enjoy viewing documents, presentations and videos on full-screen. You can call on-demand support services where technical experts can assist you to execute Office 2013 setup and install. The new Office has changed the digital trend of PDF. Now, users have an option to, format, save, open and edit PDF documents easily. You can also embed images and videos from your PC or any online source like Facebook, YouTube, and other sites. Even watching those pictures and videos is possible from within the document. Users can type in the content and create notes using the stylus tool. You can easily write email messages with your hands and later convert them to text. Using the stylus, you can also make your presentation easy and comfortable by creating laser pointer. This will let you avoid and rectify mistakes easily. You can change formatting of text such as adding color, font and size with ease. Always trust on-demand support services for Office 2013 help if you want to save your precious time in fixing its issues. OneNote helps to collect important notes about users including audio messages, images, drawings, texts and organize them too. Once created, notes are automatically saved to on the SkyDrive. You can even share such information on the Internet following a few simple steps with Office OneNote utility. This application is available for all portable devices such as Android, Symbian,Windows, iOS, Windows Phone. With instant access, you can add and make necessary changes to the notes. Skype is a popular VoIP application and available for almost all the operating systems such as Mac, Linux, Symbian, Android, Windows and iOS. It is also applicable for Smartphones, PCs and tablets. It is well known for audio call, video calls, group meetings, and texts between Mac, PC, tablets, and smartphones with splendid quality. With the new Office, you can get 60 minutes of talk time every month and even include Skype contacts for instant chat. A new social networking utility, Yammer which comes integrated with the new Office. It includes SharePoint, Microsoft Dynamics and other tools for secure private networking especially for business. You can get in touch with third-party support services for immediate Office 2013 support over email, chat or phone.